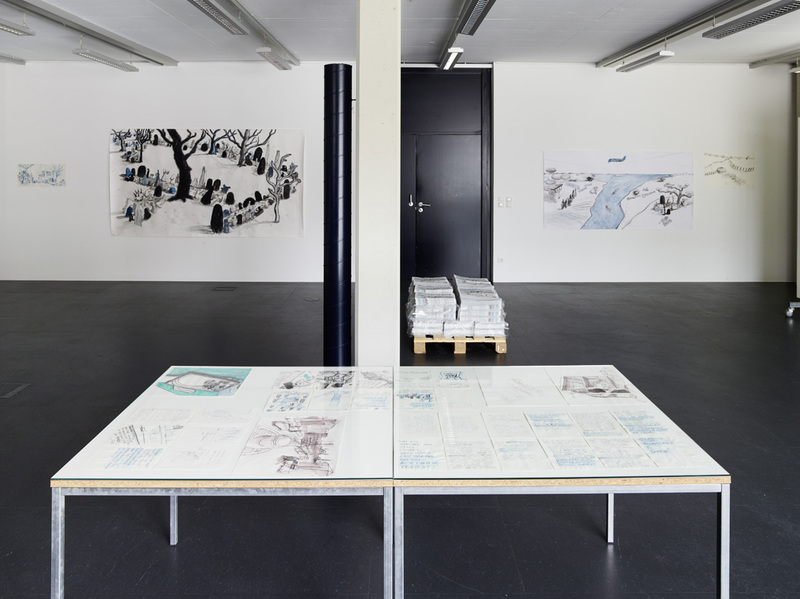 The Hamburg-based artist Christoph Schäfer takes a conceptual approach to addressing urban development and gentrification issues. In his work, he develops counter-models to the commodification of the cities and especially their centers, reflecting on specific urban situations and potential changes, often with the participation of stakeholders, city planners, architects, or other artists. 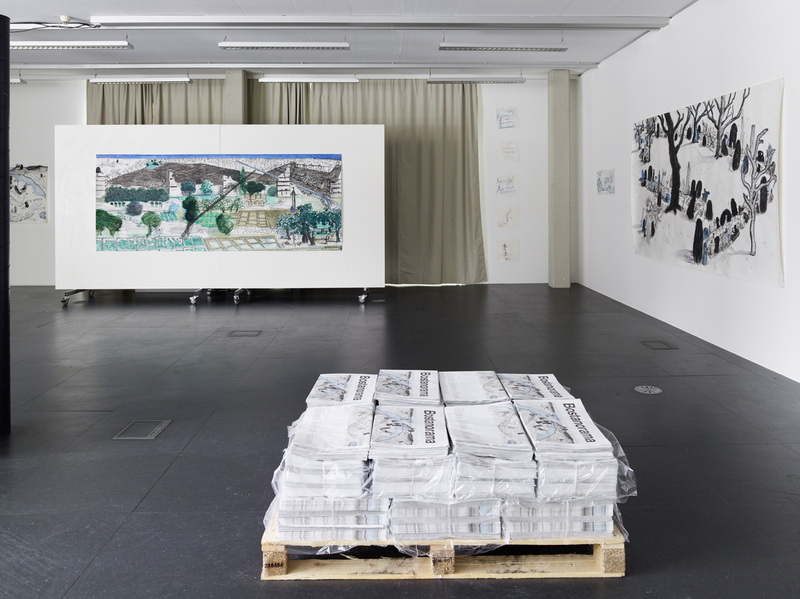 These projects give rise to texts, drawings, films, installations, urban planning processes, or books. 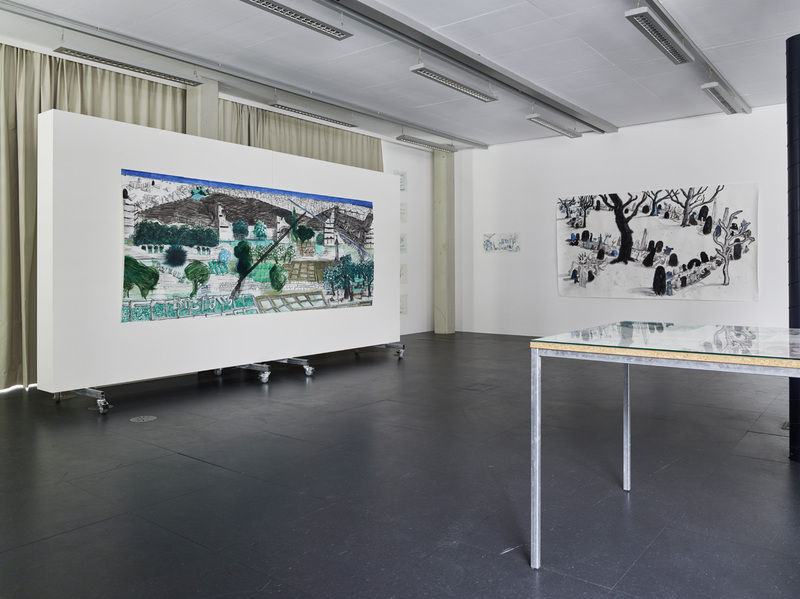 Schäfer’s exhibition at Kunstraum Lakeside builds on the Bostanorama series he developed for the 13th Istanbul Biennial in 2013, in which he used drawings and essays to take a stance on the Gezi Park protests. 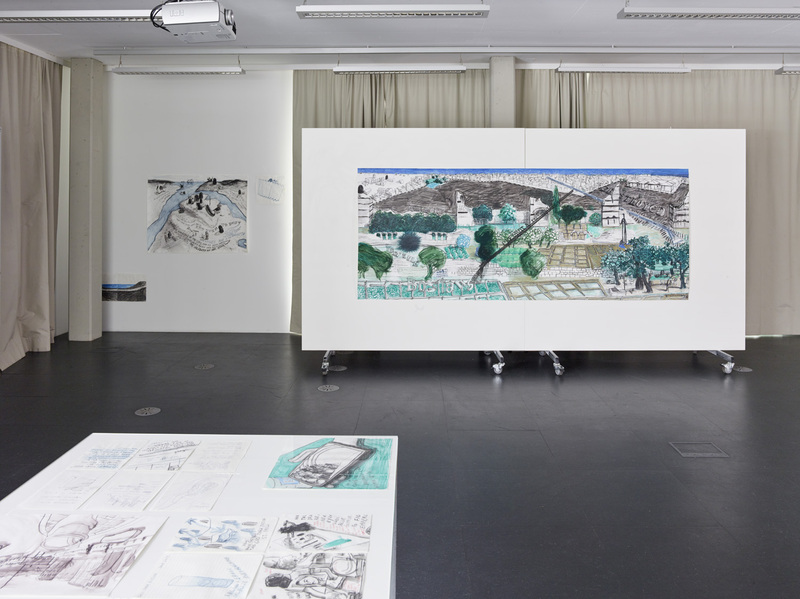 Schäfer documented the breaking events in Istanbul in large-scale drawings and diary pages, also witnessing how everyday life continued in the other parks and public meeting places despite all the turmoil. 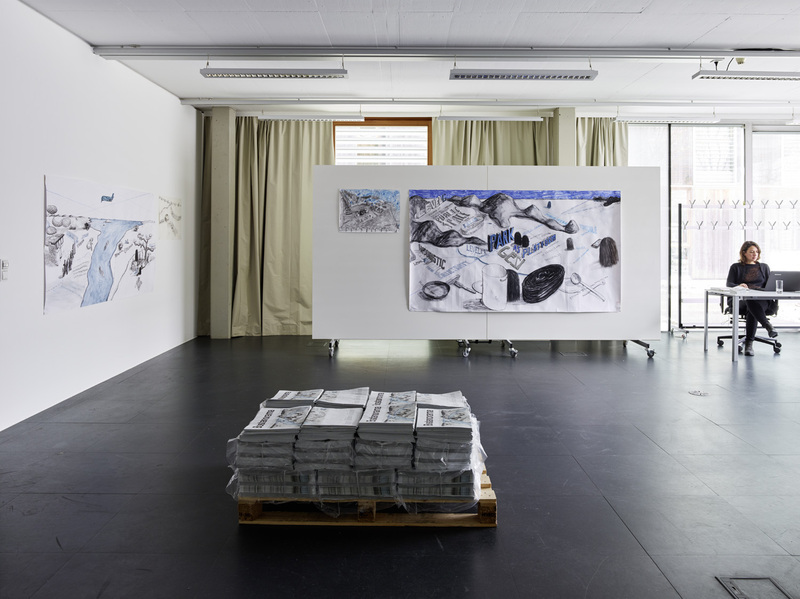 Based on interviews with citizens and his observation of the self-organized uprising, Schäfer calls into question the ongoing neoliberal urban restructuring and associated loss of public space and its consequences for the inhabitants of the city.